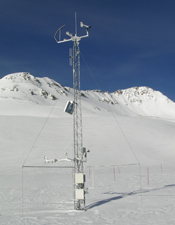 The Center for Snow and Avalanche Studies believes that the physical location of a snow and avalanche research organization really can matter – that living squarely within the alpine snow system significantly enhances its study. 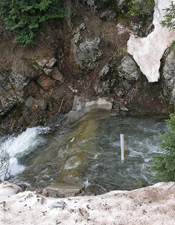 We are expanding the research capacity of colleges and universities, of mountain research institutes, and of government agencies by developing the 720 acre Senator Beck Basin Study Area on US Forest Service lands located north of Silverton at Red Mountain Pass with high-quality snow system research and monitoring instrumentation and programs. 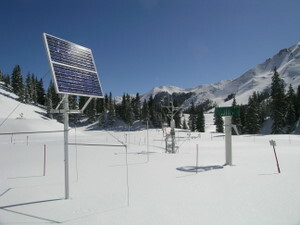 We also provide a convenient and safe field teaching site, fully permitted by the Bureau of Land Management, at our Animas Valley Study Area just a few minutes east of Silverton where students can perform snowpack profiles while observing an impressive array of nearby avalanche terrain. Our Center facility is located at 1428 Greene Street, in Suite #103, in ‘downtown’ Silverton, Colorado, between Town Hall and the San Juan County Courthouse (look for the sign displaying our logo). The office contains our small snow and avalanche library, our Senator Beck Basin Study Area (and other) data archives, a meeting space for small groups and classes, and our administrative and operations offices. 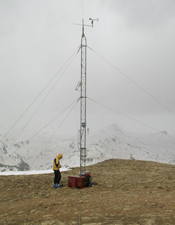 In addition to offering our Senator Beck Basin Study Area research and monitoring facility at Red Mountain Pass, CSAS provides research support services for our hosted researchers in the form of fieldwork, instrumentation development and deployment, experimental and research design consultation, seminar hosting, and collaboration on snow system research projects. Please contact Executive Director Jeff Derry to discuss your particular needs and goals, and for references with those researchers we have already been pleased to assist. We welcome visitors – please stop by for a visit!